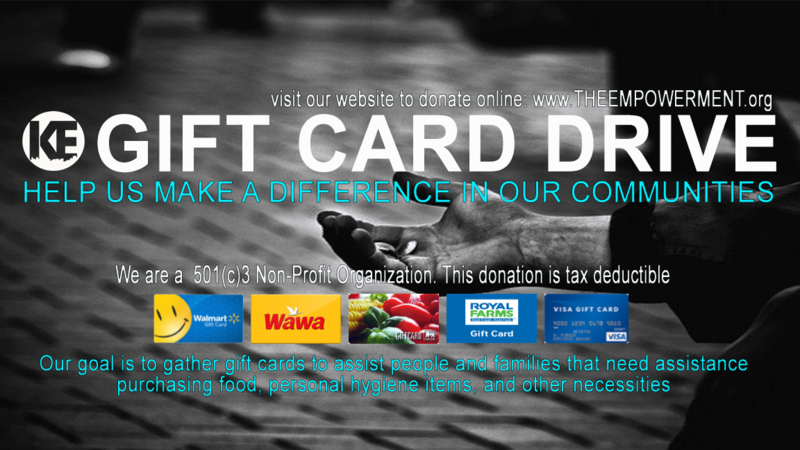 ﻿Our goal is to gather gift cards to assist people and families that need assistance purchasing food, clothing hygiene items and other necessities. 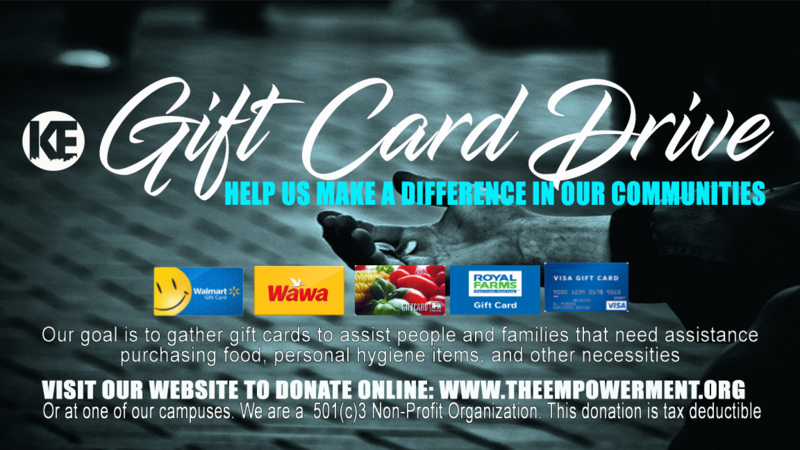 The reason that we are asking for gift cards is because they are easier to maintain and less bulky for the ministry to store and deliver to those in need. We are asking our Partners to purchase gift cards in any amount and bring them to the service and give them to our Ask Me Anything Counter or place them in an envelope during our offering time. PO Box 564 Seaford, Delaware 19973. You may also give using the links provided. This donation is tax deductible and we are a 501(c)3 Non-Profit Organization. Thank you for donating to this much needed cause.